If you have no interest in breastfeeding this may not be the post for you! As any new parent will tell you, the first few months with a baby revolve around feeds, sleeps and nappy changes. While I have happily breastfed all 3 of my boys it has not always been easy. In fact at some points it has been excruciatingly painful and downright stressful. 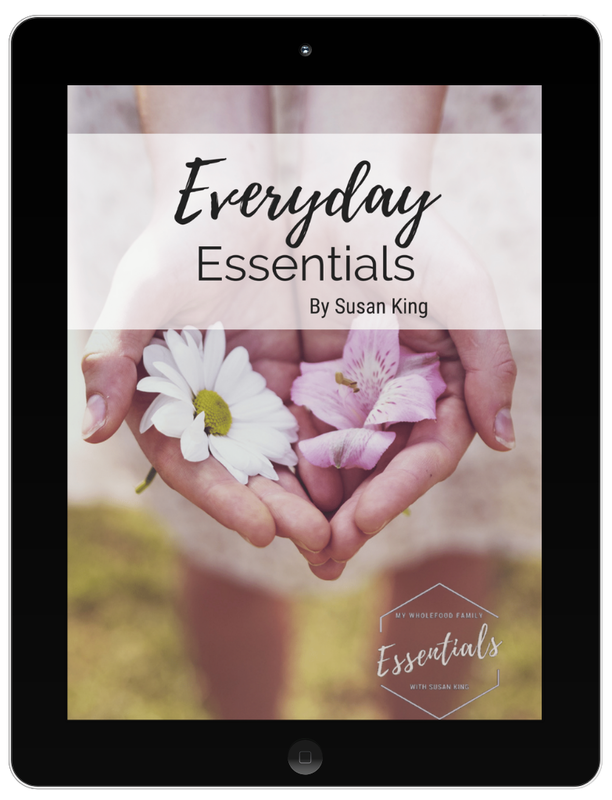 With each baby though I have learnt new strategies and this time around one thing I committed to doing was increasing/maintaining my supply through my diet. I found some really good recipes for lactation cookies online and made a couple of batches a few weeks before my due date to stash in the freezer. I snacked on a few in the days before Noah was born and took a bagful to the hospital with me as well. I found the midwives to be really interested and supportive of the choices we made during labour (things like having a doula and choosing drug-free methods of pain relief) and they were keen to find out about what I was doing in the days after Noah was born as well. I snacked on my lactation cookies immediately after labour and at all hours of the day and night in those first few sleepless days and I can say with certainty that my milk came in almost a full day earlier than was expected or had experienced before. Was it the cookies? Who knows, but they certainly didn't do any harm! My research showed that the key active ingredients in lactation cookies are oats, flaxseed and brewers yeast so every batch I made was based around those. Some of the sites I found suggested that you could see better results if you just ate the dough rather than bake them. Even after pregnancy I am a little leery of raw eggs (even though that isn't too much of an issue here in Australia) so I always baked mine. 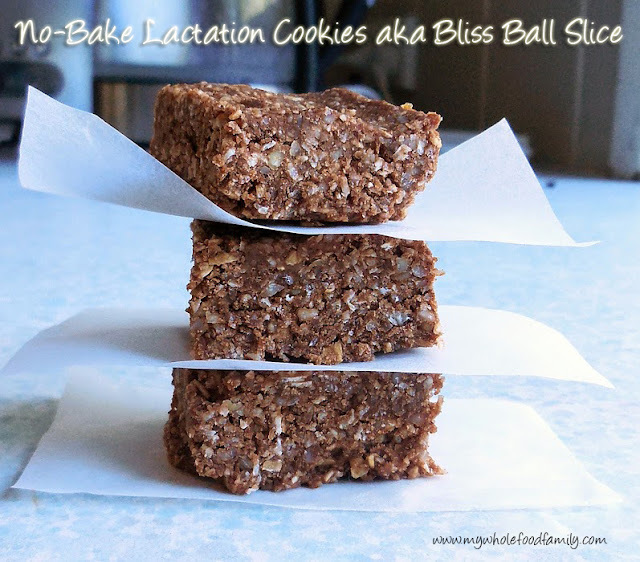 That is until I came up with the idea to combine the active ingredients of a lactation cookie with the energy packed ingredients of a bliss ball! I found it really easy to make up a big batch of my lactation bliss balls and store them in the freezer to grab as an easy snack during the day or a pick-me-up during Noah's nighttime feeds. Those bliss balls really got me through those first few exhausting months! Lately I can't be bothered to roll the mixture into balls so I simply line a large baking dish with paper and press the mixture in well. Once it has chilled in the fridge I slice it into squares and throw in the freezer. Easy. Both my big boys love them as well so they sometimes get some of 'mummy's special slice' as a treat too. Line a lamington tray with baking paper and set aside. Place the oats and nuts into a food processor and blitz to a fine crumb. Add in remaining dry ingredients and process until well combined. Add the rice malt syrup and coconut oil and process until the mixture becomes sticky and starts to clump together. Only add the milk if needed, a little at a time. Tip the mixture into the prepared tin and press down well before placing in the fridge to chill for 1 hour. Remove from the fridge and tip the slice out onto a large cutting board. Using a large sharp knife slice into small squares (I get at least 40 from this amount). Place in an airtight container and store in the freezer. I found snacking on a few of these every afternoon really helped to boost my supply for Noah's evening feeds, which was always when he was hungriest and wanted to cluster-feed. They also make a great breakfast on the run which is perfect if you have older children and can't sit down to eat properly in the mornings. * This post does not constitute medical advice, it is for your information only. If you are having issues with breastfeeding please consult a GP, lactation consultant or child health nurse.